Levels of spam email have dropped to their lowest in three years, according to research by security firm Symantec. 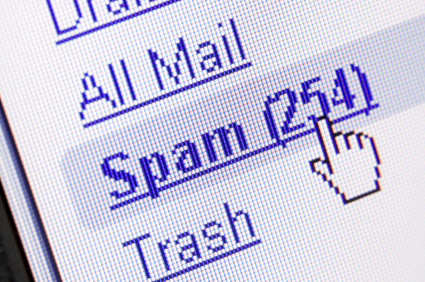 Spam now accounts for 70.5 per cent of all email received, down from a 90-per-cent high in 2008. Symantec calculated the figures after analyzing eight billion emails it processed over one day in November. Part of the reason for the drop in spam levels was the dismantling of the Rustock botnet, which had been responsible for nearly 40 per cent of all spam sent in 2009, and was thought to have infected 2.4 million computers at its peak. Two other botnets, Kelihos and Coreflood, were also shut down this year. At the moment, the Grum botnet is producing the most spam, around a quarter of all sent. Symantec estimates that it has infected nearly half a million computers worldwide. Another reason for the drop in email spam is that spammers are turning their attention to social networks such as Facebook and Twitter, Symantec said. Links to spam websites are disguised by using URL-shortening services, often set up by the spammers themselves. Most spam emails originate from computers based in the US, which is responsible for 28 per cent of all spam. Nine per cent comes from India, 5.7 from Russia, 4.3 from Brazil, 4 from China and 3.9 from the UK. Yahoo has won £388m in damages from a variety of individuals and companies that ran a spam campaign telling recipients they had won a Yahoo-sponsored lottery. The emails asked for personal and financial details, which were used to raid bank accounts and acquire credit cards and loans fraudulently. Yahoo estimates that the spammers, mostly based in Thailand, Taiwan and Nigeria, sent more than 11.6 million hoax emails between December 2006 and May 2009.